News broke today that China is launching its first aircraft carrier for sea trials this week fueling concerns about China’s rise as a military power in Asia. And while the jury is out on just how much China’s improving capabilities threaten the U.S. and its interests in the region, what is certain is that not only did the U.S. figure out how to use carriers 70 years ago, we’ve also got 11 of them. Here’s something else for Beijing to ponder while it’s tooling around off its coast in decades-old technology: The Defense Advanced Research Projects Agency today at Vandenberg Air Force Base, Calif., is scheduled to test a remotely piloted aircraft that can fly as fast as Mach 22 and can make the flight from New York to Los Angeles in 12 minutes. If you’re keeping score at home, DARPA says the Falcon HTV-2 can reach and sustain speeds of 13,000 mph. Called the Falcon Hypersonic Technology Vehicle 2, it is designed to eventually give the Air Force the ability to reach out and touch anywhere in the world in less than an hour. You can read all about the technology here. A technology demonstration and data-gathering platform, the HTV-2 is packaged in a special capsule atop the launch-ready Minotaur IV Lite rocket. After the Minotaur rocket launches and nears orbit, HTV-2 will separate and fly at a hypersonic glide trajectory within the earth’s atmosphere Mach 20 speeds, approximately 13,000 miles per hour. 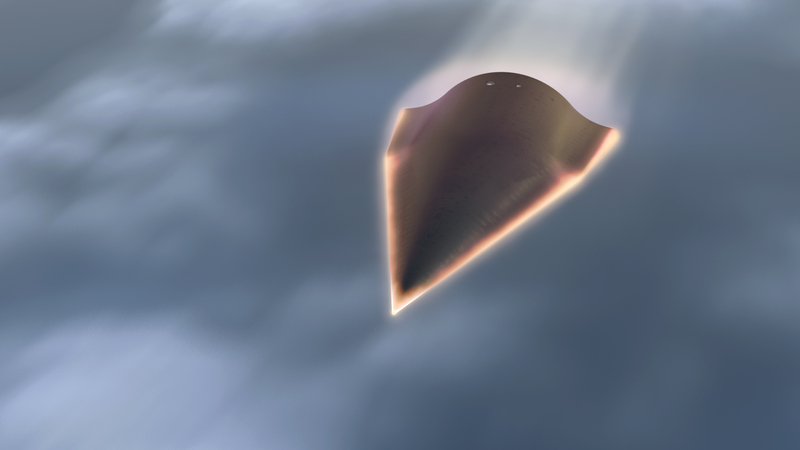 During the second flight test, more than 20 land, air, sea and space test assets will collect data needed to improve predictions, through modeling and simulation, of future hypersonic flight vehicle performance—ultimately leading toward the capability of reaching anywhere in the world in under an hour. So while it’s been a somewhat depressing week here in the US of A by any standard, we can tuck this one away in the “positive development” column. Update: Today’s launch has been scrubbed for weather and is rescheduled for tomorrow morning.